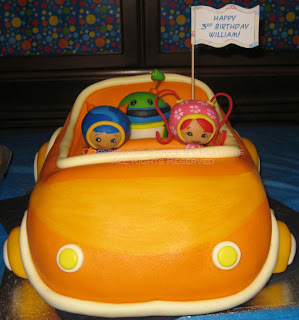 Remember how I made a Team Umizoomi cake for William (almost 2 years ago)? 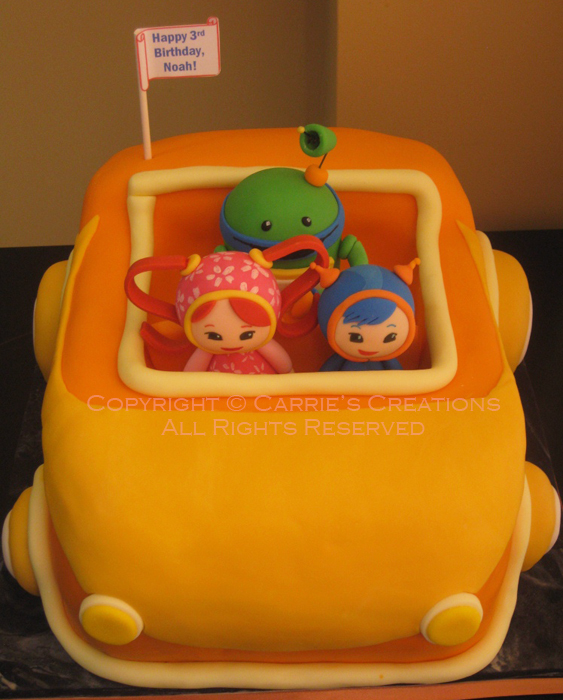 Well, since that post, I've received queries on how to make it, can I make it for their child, etc. Today, I delivered my second Umicar cake for a 3-year-old who had a Team Umizoomi theme for his birthday party. I did everything essentially the same, except the fondant was not made of marshmallows nor orange flavoured. I have to admit, I had an easier time the second time around (except for the "painting" part... I made the second lighter colour of the car out of fondant/modelling chocolate since the painting was not opaque enough and it was too streaky).